All happy hours are in the bar only. All prices are valid at the time of this post and can change without notice. Always call to confirm that happy hour deals are still available before heading over. Some Happy Hour menus are on websites as indicated. Prices don’t include tax and tip. Cheers! Acanto, 8 South Michigan Ave. (312) 578-0763.M-F 2:30PM-5:30PM. Wine $8-$10, Draft beer $5, cocktail $7. All pizza’s $10. Menu on website. Beatrix Market DePaul Loop, 23 E. Jackson Blvd 312-583-0598. M-F 2:00PM–5:00PM. 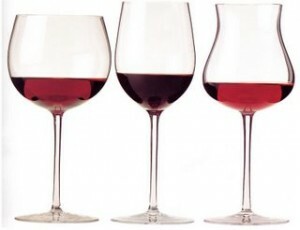 $5 wine: select red & white by the glass. Menu on website. $6, Well Drinks, $7 House Wine. Menu on website. Broken English, 75 E Lake St, (312) 929-3601. M-F 4-7PM. $4 Mexican beer, $5 Tequila, $6 margaritas, $7 sangria. Menu on website. City Social, 120 N. LaSalle, (312) 888-2968. M-W 3PM-6PM $3 select can and bottle beer, $5 featured draft, $6 select wine, $5 cocktails. Save money with Spring Rewards. Menu on website. Commons Club, Virgin Hotel, 203 N. Wabash, 312.940.4400. M-F 3-6PM. Menu on website. Food $7-12, draft beer $5, wine and cocktails $8. Elephant & Castle, 111 W. Adams, 312-236-6656 and 185 N. Wabash Ave. 312-345-1710. Menu on website. Daily specials. Emerald Loop, 216 North Wabash Avenue 312-263-0200. Daily food specials. Happy hour M-F 4PM-6PM $6 drafts and well drinks, $4 domestic bottles. $2.50-$7 food specials. Exchequer Restaurant & Pub, 226 S Wabash Ave, (312) 939-5633. No happy hour. Every day cheap prices. Large beer selection. Good pizza. Wine $8-$12, Save money with Spring Rewards. Free Rein, St. Jane Hotel, 224 N. Michigan 312-345-1000. 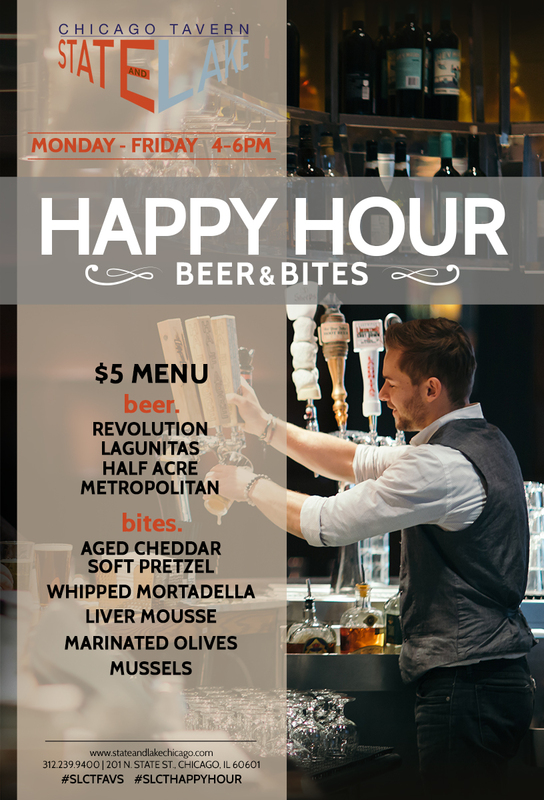 M-F 4-6PM Select $5 beer, $6 wine and $7-$8 cocktails. Bites from $6-$14. Italian Village, 71 W. Monroe, 312-332-7005. $5 Roman Sangria, $4 Prosecco, $3 Peroni and complimentary pizza, all three bars M-F from 3-6 pm. Latinicity, Block 37, 108 N. State St., 3rd Fl. M-Sat 4-6PM Menu on website. $3 tequila shots, $4 select beers, $6 select cocktails, $20 cocktail pitchers. McCormick & Schmick’s, One E. Wacker Dr., Bar and patio (summer) area only. 312-923-7226. M-F 4p-6:30p. Menu on website. Morton’s The Steakhouse, 65 E. Wacker Place, 312-240-0140. M-F 4PM-7PM. Select $5.50 beer, $8 wines, $9 specialty cocktails. $8-10 appetizers. Pizano’s, 61 E. Madison, 312-236-1777. Daily specialty cocktails around $11. Wednesday 1/2 off bottles of wine. Thursday $5 martini’s margaritas and Manhattans. Remington’s, 20 N. Michigan, (312) 782-6000. M-F, 4PM-6PM. $5 drafts, $7 specialty cocktails, $5-$7 wine glasses, $2 oysters, $5 ceviche, $3 fried chicken sliders. Rosebud Prime, 1 S. Dearborn St., 312.384.1900. M-F 4PM-6PM. 1/2 Prime time menu such as burger $9, ribs $7.5. $5 House Wine, $3 Domestic Beer. Rudy’s Bar & Grill, 69 East Madison St., 312-332-8111. Menu on website. Everyday: 1/2 apps 3pm-5pm. State and Lake, 201 N. State, (312) 239-9400. $5 beers and bites. Save money with Seated. Tesori, 65 E Adams St, (312) 786-9911. M-F 4–6pm, Sat. 12–3pm and Sun. 1–3pm. Mon: $10 pizza & any beer, Tues: $5 any wine on tap, Wed: $6 any wine by the glass, Thurs: $5 specialty cocktails. Fri: $5 sangria by the glass, Saturday & Sunday: $10 pizza & any wine by the glass. I walked by on a Sat. and they were closed at lunchtime. Call first! Toni Patisserie, 65 E. Washington St., (312) 726‑2020. M-F 4-7pm 1/2 off select wine by the glass, $10 specialty cocktail. III Forks, 180 N Field Blvd, (312) 938-4303. M-F 4-6PM. 1/2 off draft beer and select cocktails and $1 oysters. In Nov 2018 they had 1/2 off glasses of wine and $9 burgers which are a great deal. Some Fridays they do not offer happy hour. Call first!